I believe strongly in everyone's right to defend themselves by every means necessary. I have no message for anyone. My songs are only me talking to myself. People dissect my songs like rabbits but they all miss the point. People today are still living off the table scraps of the sixties. They are still being passed around- the music and the ideas. Sometimes it's not enough to know what things mean. Sometimes you have to know what things don't mean. The cost of liberty is high, and young people should understand that before they start spending their life with all those gadgets. The first way to answer the questions in the song ('Blowin' in the Wind') is by asking them. But lots of people first have to find the wind. 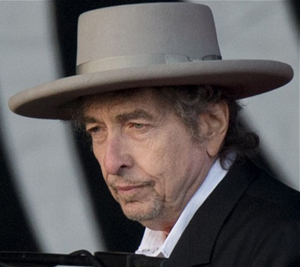 The official Bob Dylan web site.